NOT FOR SALE. 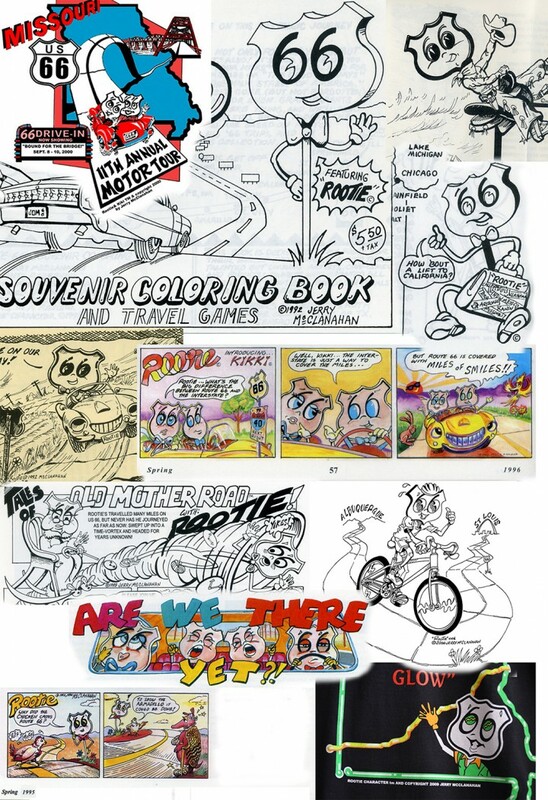 Just putting up this montage of appearances of my unique Route 66 Character ROOTIE dating way back to 1992 when he first appeared in my Route 66 Coloring Book (the first!). Since then he has been in each copy of the best selling HERE IT IS Map Series since 1994, and also on authorized T shirts, promotions for various 66 Associations, comic strips in different publications and even charitable causes.